South Orange NJ, April 16, 2019 — A third of the American public (33 percent) say they would follow Major League Baseball more if the games moved faster, (58 percent said they would not), and more than a quarter (28 percent) say they would follow more if there was more scoring, (64 percent said they would not). Nine and eight percent respectively, said they did not know. The Seton Hall Sports Poll was conducted last week among 676 adult Americans across the country, either on landline or cellphone. The poll has a margin of error of +/- 3.9 percent. Certain questions, including those regarding rules changes, were asked only of those who said that they followed baseball, of whom 456 participated with a margin of error of +/- 4.7 percent. The poll found that a sizeable number of those who follow baseball approve of proposed rule changes currently being considered or tried in the minor or independent leagues, with the idea of relief pitchers having to face at least three batters (unless ending an inning), receiving majority support. Fifty-three percent approved of the relief pitcher rule change, with 38 percent disapproving. Ten percent did not know or had no opinion. Asked about moving the mound back to 62 feet from its long-time standard of 60’6”, 59 percent disapproved, and 29 percent approved. (This proposal, however, is already reported as being scrapped by MLB). Twenty-two percent had no opinion or did not know. A proposal to start extra innings by placing a runner on second base, met with only 17 percent approval, and with 77 percent disapproval. 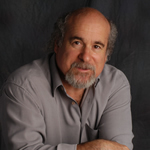 “While there is sizeable support for changes (especially for the three-batter minimum for relief pitchers), the trick is to find what rules can be integrated without changing the history and statistics of the game,” noted Rick Gentile, director of the Seton Hall Sports Poll, which is sponsored by the Sharkey Institute within the Stillman School of Business. On the designated hitter rule, which has been in place now for 46 seasons, 61 percent said it should be left as is, with 22 percent saying it should be extended to the National League, making 83 percent in favor of having a DH in the game, or at least in one league. Only nine percent said it should be eliminated from the American League. 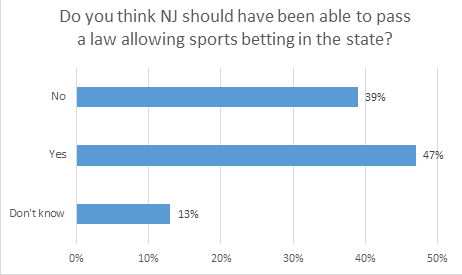 Asked if they would follow baseball more closely if they could legally bet on the games, 72 percent said no, and 19 percent said yes. Nine percent did not know. But the emergence of legal gambling in certain states, which has been embraced by Major League Baseball, did not move the needle much on the question of Pete Rose getting into the Hall of Fame. Fifty-two percent said his ban should be lifted, a little less than the 56 percent who supported his election in a Seton Hall Sports Poll conducted in January 2016. Less Home Runs Equals Less Interest? With home runs being hit in record numbers in recent years, people were asked if their interest in baseball would change if home runs declined. Six percent said it would increase, 13 percent said it would decrease and 75 percent said it would remain the same. Six percent did not know. On the question of allowing players accused of using performance enhancing drugs going into the Hall of Fame, 70 percent said no and 19 percent said yes, 11 percent did not know or had no opinion. The final questions of the poll were asked about viewing habits. Seventy-nine percent said when they watch, they watch on TV, four percent said they watch online, and 15 percent said both. Fifty-one percent said they primarily follow baseball by watching the games, 30 percent said watching video highlights, seven percent said the radio and five percent said newspapers. This poll was conducted by telephone April 16-19 among adults in the United States. The Seton Hall Sports Poll is conducted by the Sharkey Institute within the Stillman School of Business. Phone numbers were dialed from samples of both standard landline and cell phones. The error for subgroups may be higher. This poll release conforms to the Standards of Disclosure of the National Council on Public Polls. The Seton Hall Sports Poll has been conducted regularly since 2006.Recently chosen for inclusion in iPoll by Cornell’s Roper Center for Public Opinion Research, its findings have been published everywhere from USA Today, ESPN, The New York Times, Washington Post, AP, and Reuters to Fox News and most points in between. If the games moved much faster? If there was more scoring? If you were legally allowed to place bets on the games? If home run numbers declined would your interest in baseball increase, decrease or remain the same? Pete Rose has been prohibited from being elected into the Baseball Hall of Fame because he gambled on baseball games while an active player and manager. Do you think because sports betting has been legalized in some states the prohibition on Rose getting into the Hall should be lifted? Do you think players who have been linked to performance enhancing drug use should be allowed to be members of the Baseball Hall of Fame? Would you say you watch or follow baseball a great deal, a good amount, a little or not at all? Another proposal is to start extra innings by placing a runner on second base at the beginning of each extra frame. Another proposal mandating that relief pitchers must pitch to at least 3 batters (unless finishing an inning) before being removed from the game? Do you think the Designated Hitter rule should be extended to the National League, eliminated from the American League or should things be left as they are? 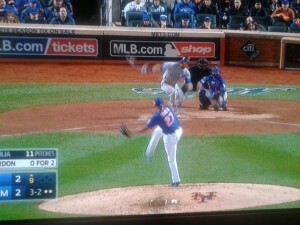 When you watch a baseball game do you watch on TV, online, or both TV and online? 13.How would you say you primarily follow baseball, by watching games, reading newspapers, listening to the radio or through video highlights? This entry was posted in Baseball, Baseball, Media, Poll Results, Professional and tagged Baseball, MLB, Pete Rose HOF, Poll Results, Rule Changes, Seton Hall Sports Poll, Sharkey Institute, Sports Gambling on April 16, 2019 by Michael Ricciardelli. South Orange NJ, September 27, 2018 — With Major League Baseball’s post-season play beginning on Tuesday, a wide margin believe that the Wild Card round should be more than a single elimination game. By a margin of 47%-26%, public opinion favors a multi-game series. That was the finding of a Seton Hall Sports Poll conducted this week among 780 Americans on land lines and cellphones, with a margin of error of +/- 3.6%. The Seton Hall Sports Poll is conducted by the Stillman School of Business and its Sharkey Institute. Rick Gentile is the director. 57% believe large market teams have an advantage over smaller market teams in advancing to the post season, with only 13% saying they do not. Asked about the institution of a limit on mound visits during a game, 23% said it resulted in improved pace of play, with 21% saying it did not. 42% had no opinion or did not know. This poll was conducted by telephone September 24-26 among 780 adults in the United States. The Seton Hall Sports Poll is conducted by the Sharkey Institute. 1- Do you think rules changes in baseball like limiting trips to the pitcher’s mound have resulted in improved pace of play? 2- Do you think big market baseball teams have an advantage over smaller market teams in advancing to the post-season? 3- Do you think a one-game playoff between the Wild Card winners is fair or should it be multiple games? This entry was posted in Baseball, Baseball and tagged Baseball, Improved Pace of Play, Large Market Advantage, Limit on Mound Visits, MLB, Playoff Baseball, Poll Results, Seton Hall Sports Poll, Sharkey Institute, Wildcard, World Series on September 27, 2018 by Michael Ricciardelli. South Orange, NJ, May 1, 2018 — By a 2-1 margin, and In the first measurement of “speed-up” rule changes initiated this year by Major League Baseball, 46% of Americans believe that these changes, especially limiting visits to the mound, will make the game feel like it’s going faster. Only 24% said it would not feel faster, (31% had no opinion). 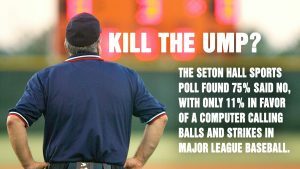 The Seton Hall Sports Poll, conducted last week after three weeks of this season had concluded, presented a positive endorsement for MLB of its changes. The Poll was conducted by landline and cell phone at 736 adults across the country, and has a margin of error of +/- 3.7%. The poll showed 53% saying games took too long, with 40% disagreeing. When the same question was asked by the Seton Hall Sports Poll in 2011, only 44% said the games took too long, with 51% disagreeing. 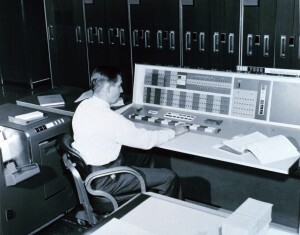 The “feel” of the games having a faster pace was important to officials at MLB during the winter, when the changes were approved. By 3 to 1, a rule that was implemented only on the minor league level was soundly booed by respondents. The minors are experimenting with allowing a runner to be stationed at second base to start an extra inning, but only 20% said they favored that at the Major League level, and 60% disdained it. Baseball still has at least a perception problem when it comes to performance enhancing drugs, with 39% saying they believe the problem still exists, with 31% disagreeing. Asked if big market clubs have an advantage in acquiring the best free agent players, 80% said yes, compared to 84% when the poll asked the same question seven years ago. Among white respondents this year, 27% felt there were not enough; while 43% disagreed. Among African-American respondents, 61% agreed while only 19% disagreed. Asked whether they were more interested, less interested, or “about the same” regarding interest in baseball, by a 4-1 margin, those ages 18-29 said they were less interested in the game. 23% of that age group said they were less interested, and only 5% said they were more interested. As an aggregate, 13% of total respondents said they were more interested, 21% said less and 60% said their interest was about the same as in the past. Broken down by gender, 15% of women said they were more interested, and 15% said less. But 11% of men were more interested vs. 27% less interested. In 2011, the aggregate poll found 17% more interested, 18% less interested, 58% about the same. “The numbers are not shifting in a positive way for baseball,” said Gentile. With regard to your interest in baseball, are you more interested, less interested or is your interest in baseball about the same as in the past? I’m going to make some statements about baseball. Please tell me if you agree or disagree with the statement: The games take too long. 6. Do you think changes to the rules of baseball this year — particularly limits on visits to the pitcher’s mound — will make the game feel like it’s going faster? The minor leagues are experimenting with starting each extra inning with a runner on second base. Would you like to see this rule implemented in the major leagues? 8. More home runs were hit in the major leagues last year than ever before. If home run numbers significantly declined would your interest in baseball increase, decrease or remain the same? This entry was posted in Baseball, Baseball, College, Poll Results, Professional, Sport and tagged Baseball, Big Market Advantage, Declining Interest, Length of Games, MLB, Mound Visits, PED, Race, Rule Changes, Seton Hall Sports Poll, Sharkey Institute on May 1, 2018 by Michael Ricciardelli. Orange, NJ, December 12, 2017 — By a margin of 49% – 35%, Americans have said “no” to the inclusion of Barry Bonds and Roger Clemens in the Baseball Hall of Fame. The two have not yet been elected by the Baseball Writers, who are voting now for the 2018 inductees. Both seemingly had Hall of Fame credentials even before their linkage to performance enhancing drugs. The poll also showed Americans agreeing with Hall of Famer Joe Morgan, who sent a letter to voters saying players named as PED users should not be elected. 62% supported Morgan’s position, with only 26% opposing. The poll was taken November 27-29 across the nation, on both landlines and cell phones, with randomly placed telephone calls. The poll is sponsored by The Sharkey Institute. There were 719 respondents, with a margin of error of +/- 3.7%. This poll was conducted by telephone November 27-29 among 719 adults in the United States. The Seton Hall Sports Poll is conducted by the Sharkey Institute. Phone numbers were dialed from random samples of both standard landline and cell phones. The landlines were called Seton Hall’s Poling Center at the Stillman School of Business and cell phones from Braun Research Incorporated. The error due to sampling for results based on the entire sample could be plus or minus 3.7 percentage points. The error for subgroups may be higher. This poll release conforms to the Standards of Disclosure of the National Council on Public Polls. Baseball Hall of Famer Joe Morgan recommended that players with a history of performance enhancing drug use during their playing careers should not be voted into the Hall of Fame. Do you agree or disagree with his recommendation? Barry Bonds and Roger Clemens were players with Hall of Fame caliber careers before they allegedly began using performance enhancing drugs. Do you think they should be elected to the Hall of Fame? This entry was posted in Baseball, Baseball, Poll Results and tagged Barry Bonds, Baseball, Hall of Fame, Joe Morgan, MLB, PED, Poll Results, Roger Clemens, Sharkey Institute, Steroids on December 12, 2017 by Michael Ricciardelli. South Orange, NJ, October 26, 2017 — In a week in which a record number of home runs were hit in a single World Series game…..and post-season coverage provides continuous use of the strike zone boundaries for each pitch….fans are clear that they want umpires – and not a computer – calling balls and strikes…..but also suspicious of the use of performing enhancing drugs driving all those homers. These were among the findings in the latest Seton Hall Sports Poll, conducted this week across the nation among 715 adults, on landlines and cellphones. The baseball data is based on the 62% of respondents that follow baseball and has a margin of error of 4.8%. Perhaps driven by the umpire calls when the strike zone box is up, (or perhaps just by being traditionalists), a strong 75% preferred that the umpire make the ball-strike calls, with only 11% opting for computer calls. (14% had no opinion). On the matter of home runs, of which a record number were hit this season in the Major Leagues, respondents were asked to say “yes” or “no” to a variety of factors. “While performance enhancing drugs are not among the top reasons, the fact that nearly 1 in 3 fans think it’s still part of the game should be alarming to the Commissioner’s Office,” noted Gentile. On pace-of-play, another much discussed issue among baseball people, fans were pretty evenly divided, favoring by 43%-40% a rule restricting in-inning mound meetings….but stayed traditional on limiting in-inning pitching changes, voting “no” by 57%-26%. “The latter would be a major rule change which would need approval of the player’s union as well as the Commissioner’s Office, and clearly among fans, there is no desire to go there,” said Gentile. The Poll also asked, “how often would you say you watch an entire live post-season baseball game,” with 45% saying “occasionally,” 26% saying “often” and 17% saying “never”. The Official Seton Hall Sports Poll podcast discussing this topic with Seth Everett and Rick Gentile will be posted later today. This poll was conducted by telephone October 23-25 among 715 adults in the United States. The Seton Hall Sports Poll is conducted by the Sharkey Institute. Phone numbers were dialed from samples of both standard landline and cell phones. The error due to sampling for results based on the entire sample could be plus or minus 3.8 percentage points. The error for subgroups may be higher. This poll release conforms to the Standards of Disclosure of the National Council on Public Polls. How closely would you say you follow baseball, very closely, closely, not closely or not at all? This season, more home runs were hit in the major leagues than ever in history. Please tell me which of the following reasons you think could be responsible, a more lively ball? How often would you say you watch an entire live post-season baseball game, often, occasionally or never? Would you be in favor of a rule restricting the number of in-inning mound meetings in an attempt to speed up the game? Would you be in favor of a rule restricting the number in-inning pitching changes in an attempt to speed up the game? 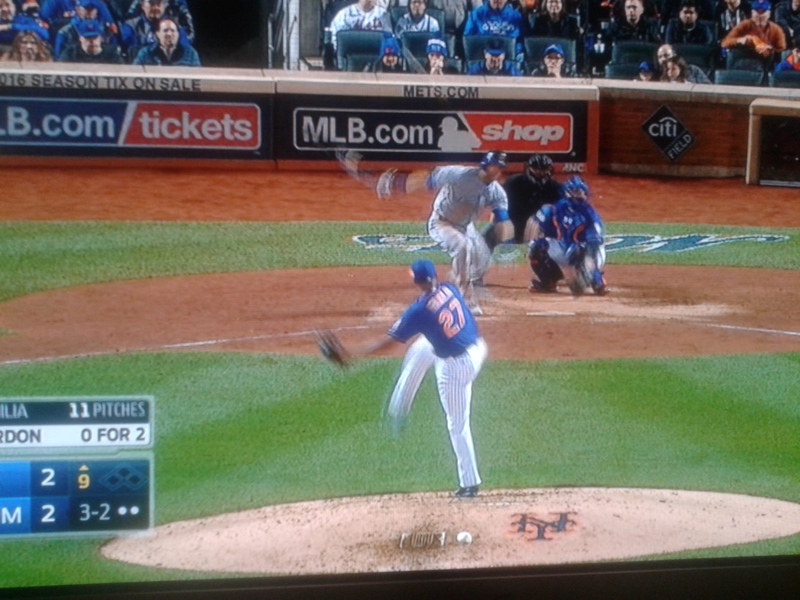 Would you like to see balls and strikes called by a computer rather than an umpire behind home plate? This entry was posted in Baseball, Baseball, Professional, Sport and tagged Computer replacing umpire, MLB, Poll Results, Seton Hall Sports Poll, Sharkey Institute, World Series on October 26, 2017 by Michael Ricciardelli. South Orange, NJ, October 5, 2017 — A poll conducted by the Seton Hall Sports Poll has found that by an overall margin of 49% to 31, Americans believe that baseball stadiums should extend netting down the foul lines to protect fans from foul balls and wayward bats. The remaining 20% either did not know or had no opinion. When broken down according to age, however, a different view appears: 18-29 year old respondents reached the opposite conclusion, opposing the extension of protective netting by a 39% to 33% margin. In fact, the number in favor of protective netting along foul lines in baseball stadiums rose in correlation to age group. “Clearly the concerns about safety grow as our respondents get older. It’s rare that such a direct correlation occurs from age group to age group,” noted Rick Gentile, Director of the Seton Hall Sports Poll, which is sponsored by the Sharkey Institute as part of the University’s Stillman School of Business. The New York Yankees recently announced that they would “significantly expand” the protective netting at Yankee Stadium after a toddler was seriously injured when struck in the face by a foul ball. The poll of 845 adults (on both landline and cellphone) was conducted across the US on Monday-Tuesday-Wednesday last week. It has a margin of error of 3.4%. This poll was conducted by telephone September 25-27 among 845 adults in the United States. The Seton Hall Sports Poll is conducted by the Sharkey Institute. This entry was posted in Baseball, Poll Results, Professional and tagged Baseball, Baseball Netting, MLB, Poll Results, Seton Hall Sports Poll, Sharkey Institute, Todd Frazier, Yankees on October 6, 2017 by Michael Ricciardelli. Click below to hear or download a discussion on the findings of the most recent Seton Hall Sports Poll release– featuring veteran sportscaster and analyst Seth Everett with Rick Gentile, Director of the Sports Poll and 10 time Emmy Award winner for his work as Executive Producer and Senior Vice President of CBS Sports. This entry was posted in Baseball, Baseball, Basketball, College, Football, General News, Level, Media, Podcast, Poll Results, Professional, Sport and tagged Advertising, Baseball, Cubs, Donald Trump, Football, kaepernick, MLB, National Anthem, NBA, NFL, Poll Results, Presidential Elections, Protests, Rick Gentile, Seth Everett, Seton Hall Sports Poll, Sharkey Institute, Sports on Mobile Devices, Viewership, World Series on November 21, 2016 by Michael Ricciardelli. South Orange, NJ, November 17, 2016 — This week’s Seton Hall Sports Poll, asked Americans how they felt about the concussion/head injury issue in football. People were asked if they most agreed with President Obama’s feelings about having to think twice about letting a son play football, or President-elect Trump’s statement that head-on-tackles in the NFL are incredible to watch and the league has gone too soft on the issue of head injuries. 59% agreed with the Obama position while only 23% agreed with the Trump statement. By gender, women agreed with Obama over Trump by 66%-17%, and men agreed with Obama by 52%-29%. “That is a decisive margin, and belies the embrace the nation’s voters show for Trump’s generally tough stances,” noted Rick Gentile, director of the Poll, which is sponsored by The Sharkey Institute. The results came from the poll conducted this week among 913 landline and cellphone adult users across the US. The poll has a margin of error of +/- 3.3%. Meanwhile, the poll asked respondents if they were watching less football, and if so, asked for reasons. 25% cited the protests during the national anthem, 10% said the match-ups aren’t as good, 10% cited too many commercial interruptions, 8% said “too many games on TV,” and 3% said “more interested in election.” 44% indicated either another choice (unnamed) or no opinion. 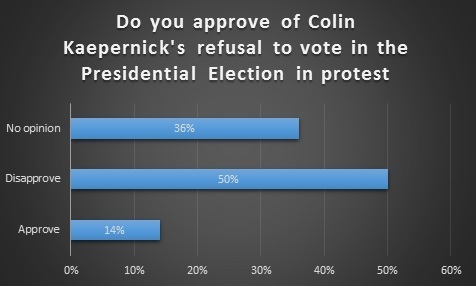 As for Colin Kaepernick, the San Francisco quarterback who triggered the national anthem protests, 50% expressed disapproval over his deciding not to vote in the presidential election, with only 14% showing approval. Only 30% of African-Americans disapproved compared to 58% of white respondents. By a 2-1 margin (61% to 30%), respondents citied the Trump election victory as more surprising than the Chicago Cubs world championship. The Cubs, of course, had not won in 108 years – but no American president had ever gained the presidency from a business and non-political (or wartime) background. The poll also asked who would be a better role model, 29% said college athletes, 21% said pro athletes, and 9% said politicians. It is worth noting that 42% said “none” or “don’t know” without those selections being offered by pollsters. There was good news for Major League Baseball amongst the findings – 19% the country said that the Cubs victory made them more interested in following baseball. Rick Gentile will be interviewed by Seth Everett for a podcast on the poll’s findings. Whom do you think make better role models, politicians, professional athletes or collegiate athletes? Which event would you say surprised you the most, the Chicago Cubs winning the World Series or Donald Trump winning the presidential election? Has the Cubs’ victory in the World Series made you more interested in following baseball? President Obama has said if he had a son he would have to think twice about letting him play football because of potential head injuries. President-elect Trump has said head-on tackles in the NFL are incredible to watch and the league has gone too soft on the issue of head injuries. Which position do you most agree with? Why have you watched fewer NFL games? Please pick your main reason from the following. Colin Kaepernick, the NFL player who sparked the national anthem protests, refused to vote in the recent Presidential Election, also in protest. Do you approve, disapprove or have no opinion about this decision? This entry was posted in Baseball, Baseball, College, Football, General News, Poll Results, Professional, Sport and tagged Concussions, Donald Trump, Football, Health, kaepernick, NFL, Poll Results, Presidential Elections, Seton Hall Sports Poll, Sharkey Institute, World Series on November 17, 2016 by Marty Appel. South Orange, NJ, February 25, 2016 — Despite recent accusations hurled at Peyton Manning over PED use (by Al Jazeera) and his behavior in college, his approval ratings remain high among the American public and seemingly not influenced by the negative publicity at all. The Seton Hall Sports Poll asked 762 adults across the country (using landlines and cellphones), for approval or disapproval on a number of star athletes this week. Manning had a 68% approval rating, with only 3% disapproving of him. This is consistent with previous Seton Hall Sports Polls — in fact, his highest approval (or favorable) rating yet. (The poll has a margin of error of +/- 3.6%). And while basketball fans have become enamored with Steph Curry, his approval rating still trails established veterans LeBron James and the retiring Kobe Bryant. Curry had a 40% approval rating (with a remarkable 1% disapprove), while James had a 53% (9% disapprove) and Bryant a 51% approval (with 11% disapproving). After James left Cleveland for Miami with a press announcement that was not well received, his approval was 40%, his disapproval 16%. (Seton Hall Sports Poll, November, 2010). “It seems right to say that he has recovered from that PR blip of six years ago,” noted Rick Gentile, director of the Poll, which is sponsored by The Sharkey Institute. Other athletes in the poll included boxer Manny Pacquaio (28% to 15%), Cam Newton (37% vs. 11%), and Patrick Kane (16% vs 3%). Manning’s Super Bowl victory also led the results in a question of which recent accomplishment was most admired, but his 37% was not that far ahead of a strong 31% for runner Becca Pizzi, who completed seven marathons on seven continents in seven days. Bryant’s All-Star farewell had 14% and Denny Hamlin’s Daytona 500 victory had 7%. (Among women, Pizzi’s accomplishment was a virtual dead heat with Manning’s Super Bowl win, with 34% to Manning’s 33%). New York Mets relief pitcher Jenrry Mejia recently became the first Major Leaguer banned for life after testing positive for a banned substance for the third time. 47% felt the punishment was right, and only 7% considered it too harsh. 32% thought it should have been banishment after one or two failed tests. 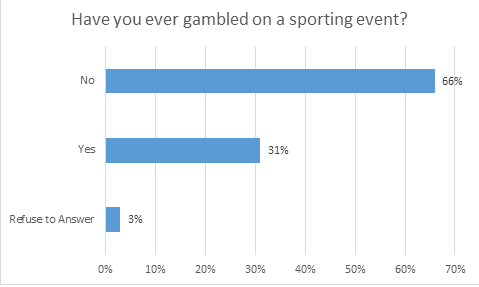 Respondents were also asked about their ticket buying habits for sports events. 43% said they bought sports tickets online, with only 18% saying “the box office.” 19% said they got them from friends. Ticketmaster outpolled StubHub 55% to 26% as the go-to choice, but when asked if they would likely go to a site with a relationship to the team, 56% said yes. Asked what event they are most looking forward to, respondents gave a slight nod to the NCAA basketball tournament with 30% to the start of baseball season at 28%. The NBA playoffs drew 17%. Among African-Americans, the result was heavily in favor of the NBA (48%), with the NCAA at 27% and MLB at 13%). This poll was conducted by telephone February 22-24 among 762 adults in the United States. The Seton Hall Sports Poll is conducted by the Sharkey Institute. Phone numbers were dialed from samples of both standard landline and cell phones. The error due to sampling for results based on the entire sample could be plus or minus 3.6 percentage points. The error for subgroups may be higher. This poll release conforms to the Standards of Disclosure of the National Council on Public Polls. Media: Media: Marty Appel Public Relations, AppelPR@gmail.com. Which athlete’s recent accomplishment do you most admire: Peyton Manning’s second Super Bowl win; Denny Hamlin’s victory driving in the Daytona 500; Kobe Bryant appearing in his 18th and last NBA All-Star game or Becca Pizzi completing 7 marathons on 7 continents in 7 days? Which event are you most looking forward to, the major league baseball season, the NBA playoffs or the NCAA Basketball Tournament? Recently Jenrry Mejia, a relief pitcher for the New York Mets, was suspended for life by Major League Baseball for testing positive for a banned substance for the third time. Do you think banishment after testing positive three times is too harsh, just right, should be after 2 times, or should a player be banished after the first positive test? How many sports events would you say you’ve attended in the past year? When you are looking for tickets, where do you get them: box office, friends, on line, or another way? Which on line service do you use to acquire tickets, Ticketmaster, StubHub, Vivid Seats, Ticket City, Ticket Exchange or some other? more likely to go to them first? How closely do you follow sports, very closely, closely, not closely or not at all? This entry was posted in Advertising, Baseball, Baseball, Basketball, Boxing, Football, General News, Poll Results, Sport and tagged Seton Hall Sports Poll, Sharkey Institute on February 25, 2016 by Michael Ricciardelli. WHEN SUPER BOWL INTERSECTS POLITICAL SEASON, WHAT’S THE MOST COMPETITIVE CONTEST OUT THERE? And Which Candidate Would You Want Coaching Your Team? South Orange, NJ, January 28, 2016 — With the Super Bowl coming right as the presidential primary season “kicks off,” Americans said they were following the presidential contests by more than a 2-to-1 margin over football, with 60% choosing the political contests, and 24% the Super Bowl. 53% say the political races will be the most competitive, compared to 37% naming the Super Bowl. (By party, 35% name the Republican race, 18% the Democratic race). The responses came in the latest Seton Hall Sports Poll, which polled 771 Americans (by landline and cellphone across the nation) this week. The margin of error is 3.6%. Blending sports and politics, Donald Trump was the choice of 32% when the Poll asked “which candidate would you like to have coach your favorite team?” Hillary Clinton, Ted Cruz and Bernie Sanders each received 15%. (Interestingly, among African-American respondents, a third named Clinton, about double any other candidate on the list). The reasons for watching the Super Bowl are of course, varied. 40% said it was best explained because they were football fans, with 19% saying they were a fan of one of the participating teams, 18% saying it was a “big event,” and 10% interested in the commercials. 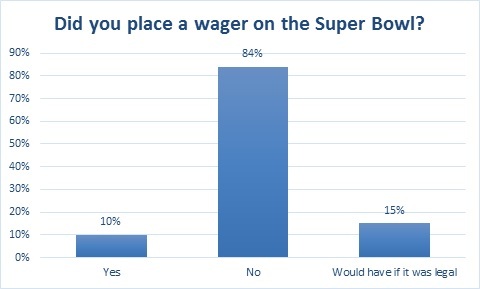 Only 2% said it was primarily because they had a bet on the game, although in another question, 13% said they participated in wagering on the game. Regarding commercials, 52% acknowledge that they watch Super Bowl commercials more closely than in other TV shows, with 39% saying “about the same.” 88% said seeing a product advertised in the Super Bowl would make no difference in their buying habits, and the remainder is split. Peyton Manning, whose name emerged recently as having been sent human growth hormones (the report was on Al Jazeera and was recanted by the source), was the subject of a question on whether that report changed opinions about him. (During the polling period, the NFL announced it would investigate the charges). A significant 11% said they thought “less favorably” of him, and 76% said it had no effect. 3% said they felt more favorably towards him. Pete Rose, who will be inducted in the Cincinnati Reds Hall of Fame this year, was the subject of two questions, the first asking whether that was appropriate – to which 47% said yes, 33% no. The second asked if he should be eligible to be elected to the Hall of Fame in Cooperstown, to which 56% said yes, 28% no. A question was also asked whether a player being investigated for domestic violence offenses off the field should be suspended by his sport or allowed to play. 48% said the player should be suspended, and 39% said the player should be allowed to play. Broken down by gender men said allowed to play by 49%-43% over suspended. Among women, it was 52% suspended, 30% allowed to play. This poll was conducted by telephone January 25-27 among 771 adults in the United States. The Seton Hall Sports Poll is conducted by the Sharkey Institute. Do you plan to watch the Super Bowl on Feb. 7? 2. Which of the following best explains why you’ll be watching the Super Bowl? 3. In the next two weeks will you pay more attention to news about the upcoming Super Bowl or the presidential contests? Which do you think will be most competitive, the Republican presidential race, the Democratic presidential race or the Super Bowl? Of the following presidential candidates which would you like to have coach your favorite team, Donald Trump, Hillary Clinton, Bernie Sanders or Ted Cruz? less closely or about the same as in other TV shows? Would you be more likely to buy a product advertised on the Super Bowl, less likely or does it make no difference? Has the recent news concerning the risk of permanent injury to football players made you more interested, less interested or has it had no affect on your interest in the Super Bowl? 10. A report last month by the news service Al Jazeera claimed that Peyton Manning and other sports stars were sent human growth hormones in 2011 by an anti-aging clinic despite the fact that it was recanted by the source. Did this story make you think more favorably of Manning, less favorably or did it have no effect on your opinion of him? Switching to baseball now, it was announced Pete Rose will be inducted into the Cincinnati Reds Hall of Fame and have his number retired by the team. Do you think this is appropriate considering his ban for life by Major League Baseball for betting on games while active? Do you think Pete Rose should be eligible to be elected to baseball’s Hall of Fame in Cooperstown? The New York Yankees traded for a player who is being investigated by Major League Baseball for a domestic violence incident although he was not charged with a crime by authorities. Do you think players should be allowed to continue to play while being investigated for violent offenses or should they be suspended pending the results of the investigation? This entry was posted in Advertising, Baseball, Baseball, Football, Gambling, General News, Poll Results, Professional and tagged Advertising, Baseball, Bernie Sanders, Donald Trump, Football, Hillary Clinton, MLB, NFL, Peyton Manning, Presidential Elections, Seton Hall Sports Poll, Sharkey Institute, Super Bowl, Ted Cruz, Which Presidential Candidate Would Make the Best Coach? on January 28, 2016 by Michael Ricciardelli. Seth Everett gives the latest Seton Hall SportsPoll update: MLB’s World Series vs. NFL; interesting result for sports stadium billboard sponsorship and perceived effect (1 minute, 27 seconds). This entry was posted in Advertising, Baseball, Baseball, Football, General News, Podcast, Poll Results, Sponsorship and tagged Advertising, Baseball, Billboards in Ballparks, MLB, NFL, Seton Hall Sports Poll, Sharkey Institute, World Series on November 9, 2015 by Michael Ricciardelli. If boxing is the cruelest sport (it is), then baseball is, perhaps, the most excruciating. In the middle of July in the midst of a 162 game season it is excruciating in the sense that it seems as though it will never end: the teams trudge through summer in a schedule designed for attrition. In September and October, with the playoffs at hand, it is excruciating because it will end – or could end – with the very next pitch. With the drama distilled and rolled up into a little ball – focused and traveling at 97 mph— there is nothing quite like a full count on a batter with the game and maybe the entire season on the line. Nothing quite like a playoff game (never mind a World Series game) when your team is playing, and almost every pitch feels that way. The entirety of a year’s work (pitchers and catchers report in February) resting on and rolled into a series of moments—the next moment. It waits. And in that waiting, that time before the crack of the bat and the roar of the crowd, lies the beauty of baseball: an anticipation, a dread even, that has built to a fine point over a period of a year—or decades, or 107 years if you’re a Cubs fan. Nearly unbearable at times, playoff baseball is, in short, dramatic. And this has been, by almost all accounts, the most exciting World Series in years. But relatively few people are watching. That’s a shift in differential from 34 to 12% — with an effective upward movement for baseball of 22 points. That, coupled with a Game One this year that had the highest TV ratings for a World Series game in 5 years, represents a strong gain for Major League Baseball. @ryanlawrence21 @cbranch89 Average age of World Series viewer last year: 54.5. When the average is about my age, you know there's trouble. Nothing to say, really— it’s post season baseball. But there is a question to be asked: With a product that good, how didn’t he know? What is MLB’s marketing strategy for people who aren’t “about the average age”? This entry was posted in Baseball, Baseball, General News, Sport and tagged Advertising, Baseball, MLB, Seton Hall Sports Poll, World Series on November 1, 2015 by Michael Ricciardelli. South Orange, NJ, October 29, 2015 — The World Series, which will go head-to-head against the NFL this Sunday (if a fifth game is necessary), has shown strong growth in such a match-up in the opinion of the American public, according to a Seton Hall Sports Poll conducted this week. 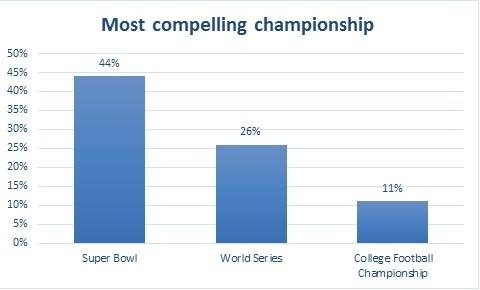 While a regular season NFL game is preferred over a World Series game by a 48%-36% margin, when Seton Hall asked the question five years ago, the NFL margin was 56%-22%. That is a shift from a 34% to 12% differential, and seems to match the ratings for Tuesday night’s Game One of the World Series, which was the highest in five years. There were no clear differences in the percentages based on whether a baseball or a football game was being played on the day the question was asked. The Poll was conducted this week (October 26-28) among 820 random adults called on landlines and cellphones across the country. There is a margin of error of 3.5%. Asked which they expected to be more competitive, the World Series or the political debate, 49% said the debate and 41% said the World Series. (The vast majority of respondents answered prior to the airing of the debate on CNBC, which began at 8 pm eastern time on the final day of polling). In other findings, 45% felt the World Series takes place too late in the year (vs. 37% saying it was fine to end in November). When asked two years ago, 53% said it takes place too late, and 36% said it was okay as is. 59% said it didn’t matter if a baseball player acts out with a demonstrative gesture in a game (such as a bat flip or a pitcher’s gesture after a strikeout). 17% felt that was good for baseball and 15% said it was bad for baseball. Although there are growing varieties of ways to watch sports, 83% still choose television and 7% choose “in person,” leaving only 5% who usually watch streaming video and 5% “other” or “none.” Streaming video was launched back in 2000 when Rick Gentile produced the Paralympic Games from Sydney, Australia for WeMedia, but now, 15 years later, it remains a small piece of the viewership pie. Good news for billboard sponsors – 44% of respondents said they pay attention to sponsor signs in the stadium. Asked if they are more or less likely to purchase a product they see sponsoring sports events, only 9% said more likely and 85% said “no difference.” (Advertisers would surely dispute this finding). 6% said they would be less likely. This entry was posted in Baseball, Baseball, Football, General News, Poll Results, Professional, Sport and tagged Advertising, Baseball, Billboards in Ballparks, Football, Live Stream, MLB, NFL, Sponsorship, World Series on October 29, 2015 by Marty Appel.